Few tests or certifications have the pressure attached to them that the Series 7 (also known as the Series 7 Top Off Exam) does. This is part of the reason why so many participants fail the test. Fail, and you could not only forfeit your chance to trade securities but fail twice and you could also lose your job (or at least your test sponsorship). But failure is a good vantage point from which to re-evaluate your test-taking strategies and reshape how you prepare for your next attempt at the Series 7 exam. Tests are stressful, and the Series 7 can be an exceptionally nail-biting experience. 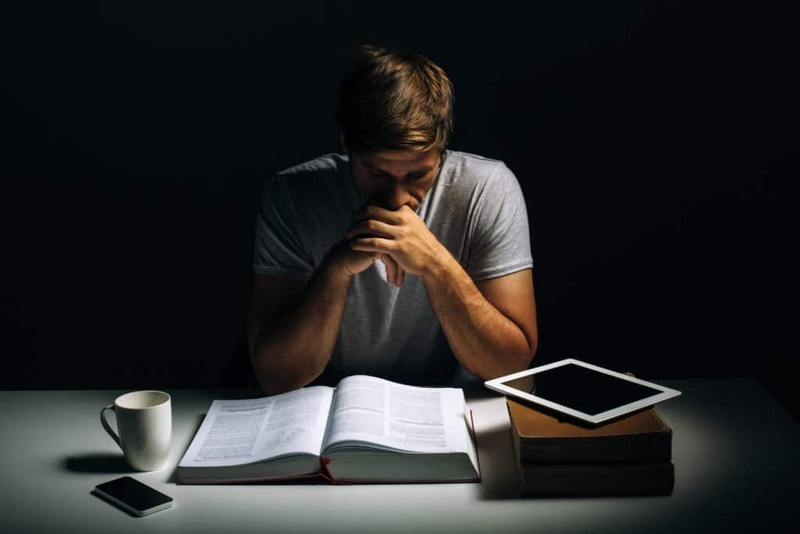 If you walked into the testing facility brimming with nerves, that could be a red flag that you’ll need more time to study during your next preparation period. The proper prioritization of your time and your focus can mean the difference between passing and failing. Like most Series 7 test takers, your days are likely also full of work responsibilities. If you haven’t asked your employer to lighten your load in advance of the test, you may be missing out on critical study time. Pushing back on your workload isn’t easy, but failing your Series exam comes with even harsher consequences. Sequestering enough time to study isn’t the only personal matter that can affect the outcome of your Series 7 exam. If your prior test preparation was full of stress, lack of sleep and unfamiliarity with the test environment, these conditions likely also played a part in your final score. But even the best night of rest won’t help you pass a test without an adequate educational background. If you haven’t taken, reviewed and remediated practice exams and guaranteed that you have enough knowledge to rise to the occasion, extra educational classes may be to ensure you ace your next attempt. First, make sure that your study materials are up-to-date. Regulators often adjust rules as hot topics arise in the industry, and test materials may change rapidly. Find a study routine that works for you and stick to it. Do you know how you learn best? Did you bury your nose in printed materials last time and still have trouble retaining the content? Consider including audio/video, tactile or kinesthetic learning methods into your study routine. Set up a regular study schedule, run through practice questions, and take mock exams to rehearse the experience of sitting down at test day. Make sure you have ample time before your test to relax and squeeze in some last-minute study time. Map out directions to your study center ahead of time, and arrive early. If your test date is looming and you still don’t feel prepared, don’t hesitate to postpone your exam date. There’s no shame in admitting that you’re not quite ready. Study the concepts presented within the exam as well as specific questions, and make sure you come prepared with sufficient practical knowledge. The Series 7 requires more than mere memorization; it requires that you be able to apply that knowledge to different client situations. Focus your studying on scenarios as well as formulas. Can you construct an appropriate portfolio of investment products based on a client’s goals? Keep your focus on serving customers as you answer questions, answer confidently and trust your gut. Fortunately, the Series 7 exam is straightforward; strictly designed to ensure you are familiar enough with the content to knowledgeably perform your job in the real world. But if your education is not firmly planted in the business or financial fields, some of its content may be new to you. If you struggled with basic knowledge of the material during your failed exam, then an STC training course could be your knight in shining armor. If you’ve been self-studying for these exams, consider changing up your preparation process by seeking professional study courses. The STC’s Series 7 e training course offers comprehensive study materials, including an online study manual, practice exams, a study calendar, instructor hotline, flash cards, final exams and more. If you take the time to learn the material, you can avoid encountering curveballs on test day. These study materials are a close representation of what you’ll face in the actual exam and can save you the stress inherent in failing a second (or third time). When test day comes, remain calm and confident, and don’t forget to breathe.